The Ulster ace wants to follow in the footsteps of fellow Rathmore man Fred Daly and Portrush neighbour Darren Clarke by winning The Open in a hair-raising Sunday finish. But he knows he must take a leaf out of the book of the great Seve - a two time winner at Royal Lytham - and convince himself he’s the best bunker player in the world. 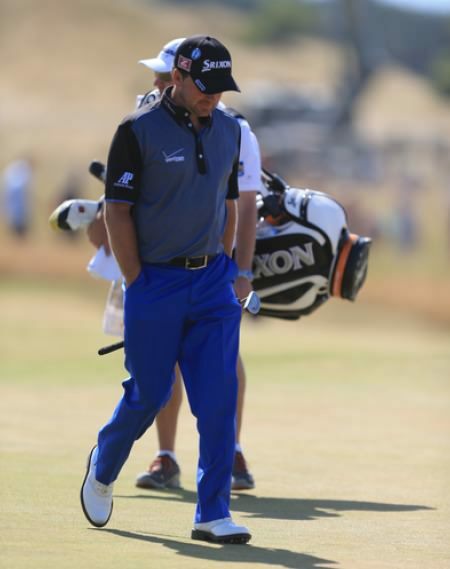 Refusing to fear Royal Lytham’s numerous fairway traps, ‘G-Mac’ said: “My bunker play probably let me down in the US Open at the Olympic Club and it is something I have been keeping my eye on the past few weeks and try and improve it. “I guess he was right. His sand saves that week were pretty impressive. Tiger Woods didn’t find a single bunker when he romped to his eight-shot win in the 2000 Open at St Andrews. But McDowell reckons it will be impossible to avoid one of Royal Lytham and St Annes’ 206 traps this week. Bracing himself for a bunker mentality, he said: “I think you have to prepare yourself by realising you’re going to hit it in a few traps on this golf course. “I read a tweet this week that said there’s a bunker for every bone in your body. Staying out of them the way Tiger did at St Andrews is impossible. “You’ve got to accept fact it is going to happen. It doesn’t matter how good your game plan is, you’re not going to execute every shot perfectly and you’re going to hit it in a few fairway traps. “You may as well beat a five-iron into that fence in frustration right now and get it over with because there is no point reacting that way when it does happen. “You have to just chip it out and start again. I think accepting it early is a key to this week. Coach Pete Cowen has transformed McDowell around the greens and he now believes he’s got the bunker game to follow in the footsteps of Seve and 1974 winner Gary Player, another sand specialist. McDowell explained: “Pete’s been huge. Only got to look at Lee Westwood who is leading the sand saves on the PGA Tour and would have been self confessed not the best bunker players in the world a few years back. McDowell insisted that Royal Lytham was “right up there” as his favourite Open venue because it’s such a strategic test. He even compared it to chess, which was a hobby in his school days, if only to get him close to the local girls. He said: “Compare this to St Andrews which doesn’t really set up that well for me because guys can blow it over trouble. It is not like that here. “I hate using the word plodder, but it is a chess game. You’ve got to position your first shot to have a chance with your second. It might be my favourite open venue. McDowell’s Open record is poor with tied 11th his best result from eight starts. 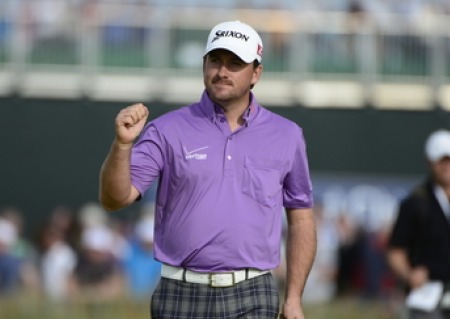 Seve enjoyed two triumphant marches up the 72nd hole at Lytham and McDowell is up for the fight. Daring to dream he said: “Walking down the 18th on Sunday would make the hairs on the back on your nexk stand up. Purple reign. If Graeme McDowell wins the Open, Northern Ireland will have captured three majors in just over two years. 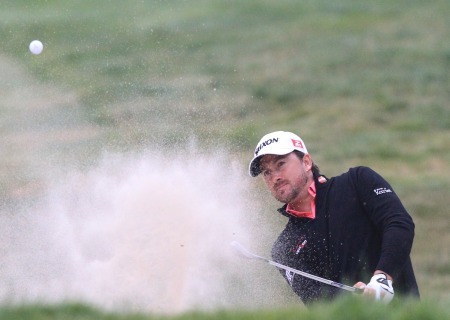 Photo Eoin Clarke/www.golffile.ie Graeme McDowell plans to keep his promise to Darren Clarke and bring the Claret Jug home to Northern Ireland today. The Portrush man wants to put the famous old trophy in the “Shrine” at Rathmore Golf Club just 12 months after Clarke took it to Royal Portrush and 65 years after Rathmore man Fred Daly lifted it at Hoylake.